Since 1980, the nearly 600-acre grounds of the Dorflinger-Suydam Wildlife Sanctuary have preserved the natural beauty and wildlife of northeastern Pennsylvania. 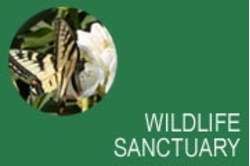 The Dorflinger-Suydam Wildlife Sanctuary offers nature trails for observing indigenous wildlife and waterfowl. Date of Availability: Museum open May through November (Wednesday through Saturday 10am-4pm, Sunday 1pm-4pm; weekends only in November). Sanctuary open dawn to dusk year-round.